Flip a coin. If heads, spit on the other player. 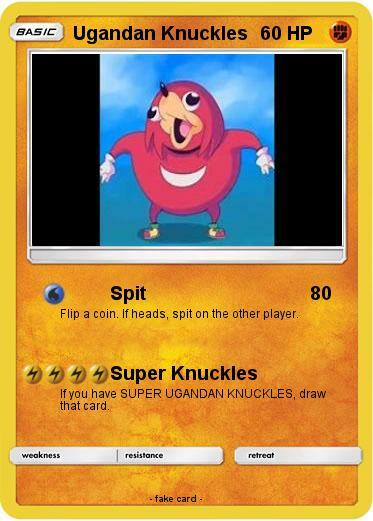 If you have SUPER UGANDAN KNUCKLES, draw that card.